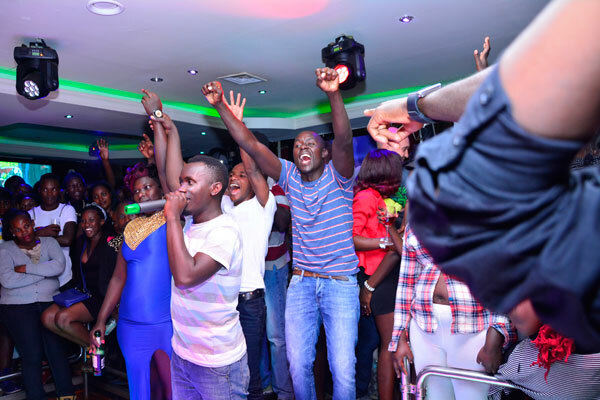 KFM brought life back to Entebbe nightlife on Saturday as it held its monthly K-Nite club Knight Riders Discotheque as the radio stations listeners get the chance to party with their favorite presenters. The night starts at 8pm and ends at 8am in the morning, as the music being played in the night club is relayed live at the station something that really thrills their fans. 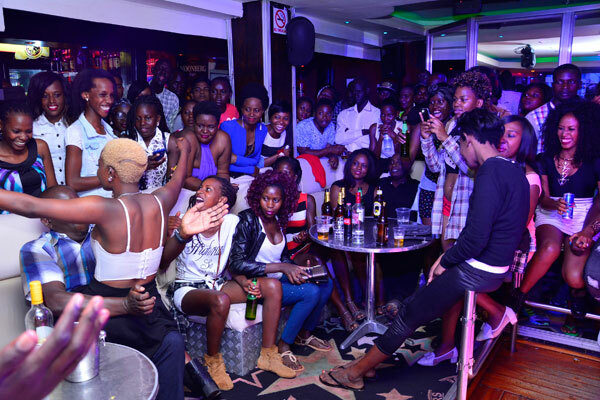 By 10pm, the Discotheque was already filled to capacity both in the VIP section and the ordinary something that shows the radio stations popularity, revelers danced to different tunes sampled by the nights DJ James. At 1.08am there were performances from Magma Lunyata with his Faco hit; T-shine did Ottirawo, Glenn Messiah come to do his Anyira wa Peco a luo track making revelers dance to the tunes, followed by Mambo elevated with his Dem loose hit. KFM presenter James Peterson who presents the K drive was the main MC of the night, co MC was David Rukasi aka uncle D tasked three ladies to come on stage and the crowd was asked to choose the best dressed lady who walked away with 20.000 shillings. Shortly after, the artist of the night Wycliffe Tugume aka Ykee Benda thrilled the crowd and was so magnificent in his performance. 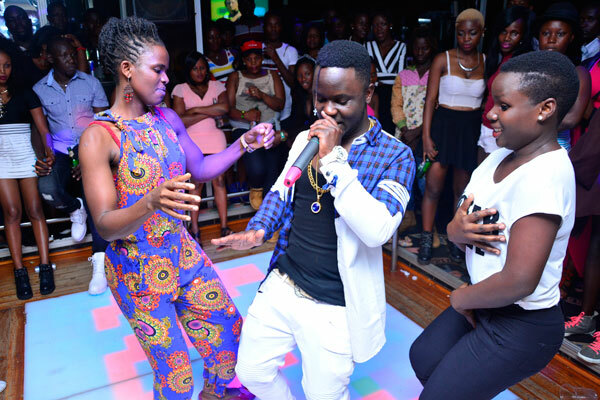 He stepped on stage with his Budumbu hit, Chenchebula, Eva, a song featuring Silkstuat and Roja, Blessing, Muna Kampala and he raped it with Fama sending the crowd screaming.